MasterCard has consolidated its $340m (£220m) global media planning and buying account into Interpublic Group's Universal McCann. The account was previously at Omnicom's GSD&M/Idea City, Texas, and is the final piece of the worldwide Mastercard media jigsaw for Universal McCann. MasterCard, in a statement, said it had "enjoyed a great partnership and success with GSD&M/Idea City" where the account had sat for more than 10 years. The credit card giant said it was "extremely proud" of the work it had done in partnership with the agency. It said: "At this time, we have decided to consolidate our media-planning and buying responsibilities with our global agency of record to create greater efficiencies and consistency around the globe." In July MasterCard launched a campaign to remind holidaymakers it can provide moments that money can't buy while on holiday. The creative work consisted of five executions. Press ads appeared in national and global press, while airport travel routes such as the UK’s Heathrow and Stansted Express hosted train card panels. Airports featured a range of digital screens above check-in and on the airport concourse, and online banners ran over travel and trip advice sites as well as booking confirmation pages. 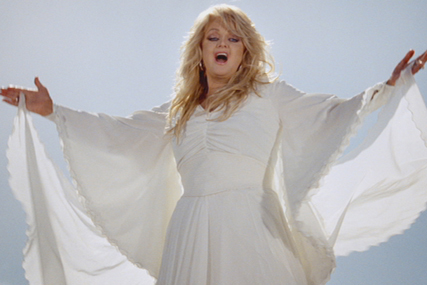 Recent television activity from the brand includes a television campaign featuring Welsh songstress Bonnie Tyler promoting the World MasterCard. In the TV spot, created by McCann Erickson, Tyler serenades a MasterCard customer with her hit single 'Total Eclipse of the Heart', as a way of saying thank you for using the World MasterCard. Over the past few months Universal MCann has also picked up the global accounts for high-end fashion brand Burberry and Danish shoe manufacturer Ecco.